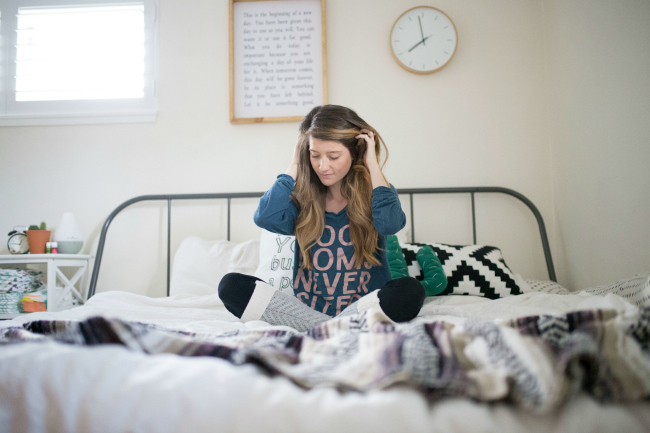 Love Lo: How to get the best night sleep possible! 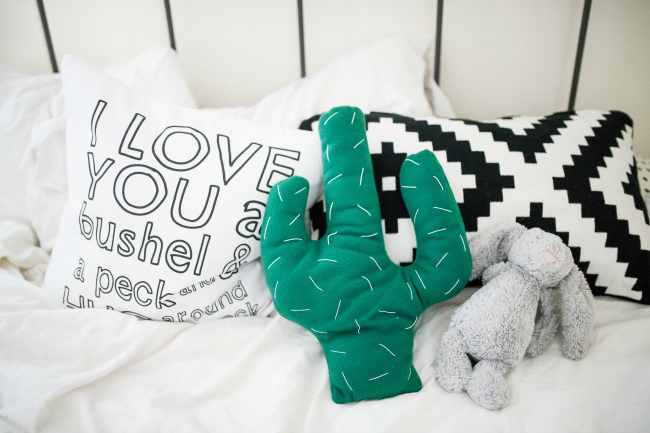 How to get the best night sleep possible! 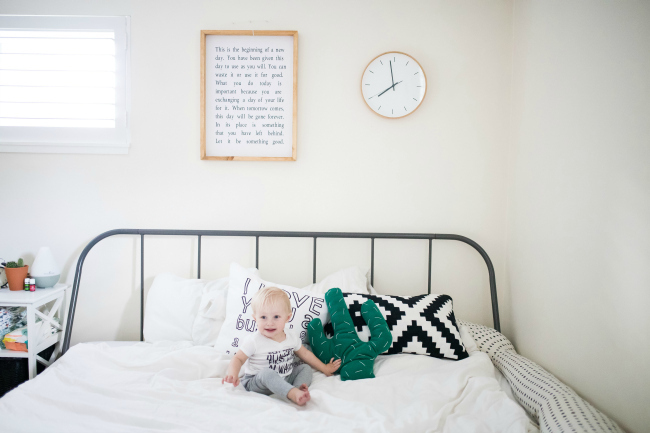 diapers and wipes c /o: Parasol Co.
A good nights sleep. Isn't that something we all crave!? Sometimes it just doesn't come that easy though! Especially for parents of young children. I'll be honest that I definitely have not had enough sleep in the past year and sometimes it really takes its toll. Consistently not getting enough sleep can have an extremely negative effect on ones body, spirit and mind. I know that as a mom I don't always have the luxury of going to bed when I want, sleeping as long as I want and waking up when I want. My little alarm clock wakes me several times and when its time to get up for the day I am greeted with plenty of "mamas" and slobbery kisses. 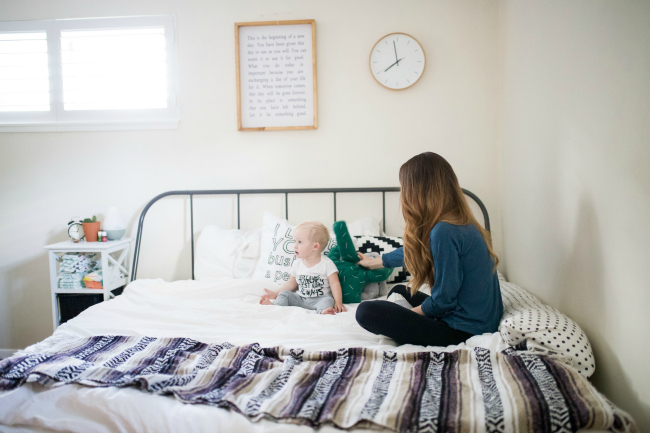 Even if we can't always control our surroundings or circumstances to get a great nights sleep, I realized that there are a few things we as a family can do to get the best nights rest possible! So here are our tips! Tip #1- A good mattress, okay a GREAT mattress can make all of the difference. I have had horrible back pain since I was pregnant with H and it only got worse after I gave birth. Sometimes I was in such awful pain that I couldn't even pick him up. I went to physical therapy and to the chiropractor which both helped but not enough. Every morning I woke up feeling three times my age. Since sleeping on our Tuft and Needle mattress for two months now, I kid you not, my back pain is gone. I no longer wake up with aches and pains and I go about my day with my busy toddler with ease! 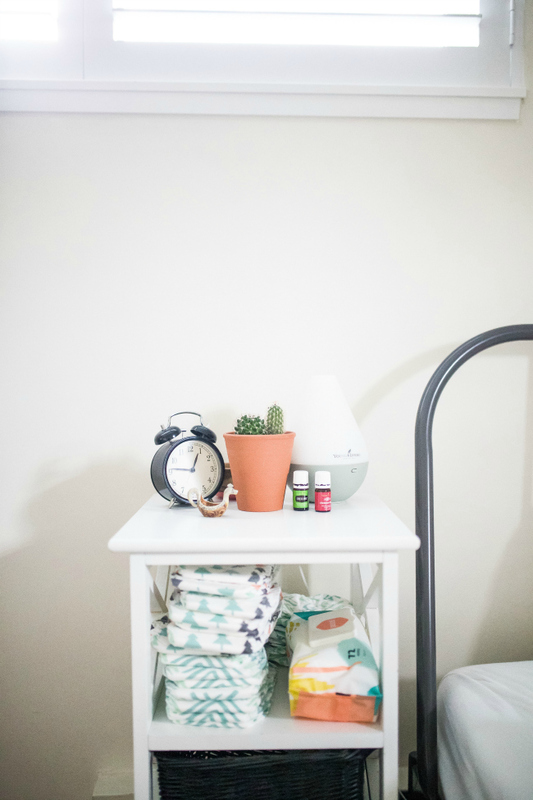 Tip #2 - We have a great night time routine in place for little H. A nightly routine helps him so much when it comes to knowing that its time for sleep. We also make sure that the bed and surroundings are a familiar place. Hudson has a "bubby" (stuffed bunny) that always stays in the bed. We don't take bunny out unless we are traveling and then bunny stays in the bed where we are staying. This helps Hudson be excited to go to bed and see his "bubby" whom he adores! He also has his blanket that is with him every night and nap too. Tip #3 - My nightly routine is also similar every single night and it helps my body and mind to unwind and relax. Recently I have been trying to avoid technology before bed. Which can be really hard when during the day I don't have the time to watch my shows or peruse social media. However, I find that on nights that I avoid any technology before bed, I fall asleep MUCH faster. Falling asleep fast is important for me because Hudson does still wake up in the night and I need to catch all the precious minutes that I can! Tip #4 - Being organized and prepared. Beside our bed I keep plenty of diapers and wipes for Hudson. He doesn't usually need a diaper change in the night however sometimes the unfortunate happens and we end up with a midnight diaper change. There is nothing worse than a crying baby while you run around trying to find a fresh diaper and new jammies. 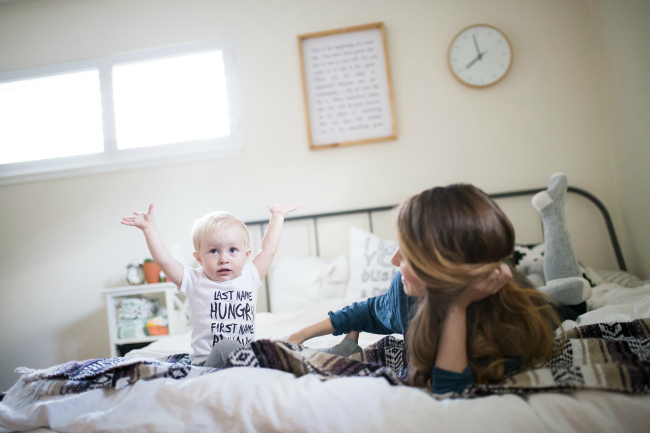 When we were using another safe and non toxic brand of diapers, Hudson was peeing through his pjs almost every night. UGH! I was getting so frustrated. When we started using Parasol diapers the night time wetting stopped! These diapers are the most absorbent we have ever used and any friend who has tried them agrees too! Not only are they super absorbent but we feel good about the products and ingredients that are used to make them. If you want to give these diapers a try too, use code LOVELO for 20% off your first order. You will not regret it but you will be hooked! I know that for us we all have a better day when we have had the best sleep possible the night before! 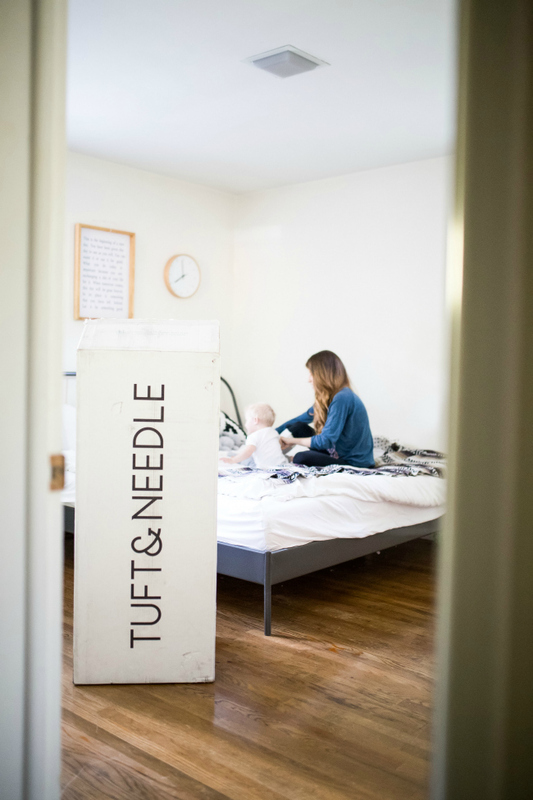 It all starts with the right mattress so go check out Tuft and Needle because it truly is the best mattress around! Plus, what could be better than a mattress that arrives in a box at your doorstep! The only thing I can think of.....is a GREAT nights sleep! Close your eyes and take deep, slow breaths, making each breath even deeper than the last. It will help a lot. Seasonal Wish List with The Baby Cubby!